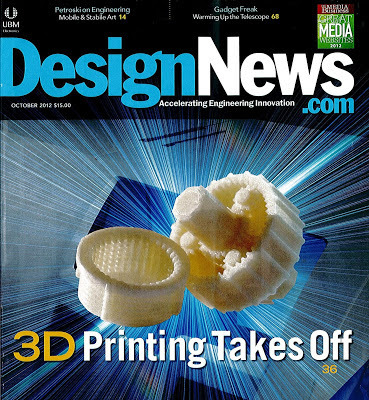 The cover story for the October 2012 issue of Design News is "3D Printing Takes Off". 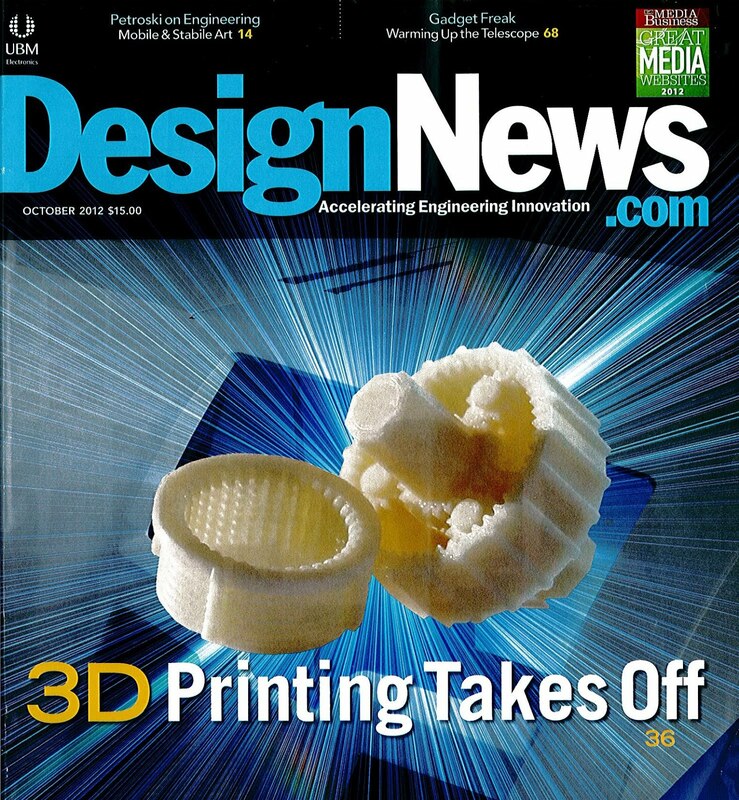 Plastic News is reporting that the future of 3D printing "is not so rosy." Coincidentally, print versions of both items 1 and 2 were in my mailbox this morning. So which is it? Probably somewhere in the middle. 3D-printing will continue to grow and impact us in new ways (good and bad), but it's not as if my mom is going to have a printer anytime soon. Well personally I'm very fond of 3D printing. It just gives life to the printed images making it more vibrant and dynamic.